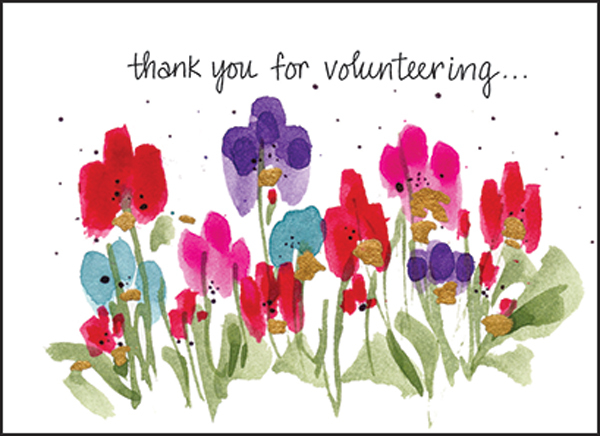 Colorful Floral Thank You Notes for Volunteers | it takes two, inc. These note cards are perfect to have on hand for writing thoughtful notes to volunteers. This colorful, floral design and simple, heartfelt message will make any recipient feel truly appreciated. Order a couple of packages today! 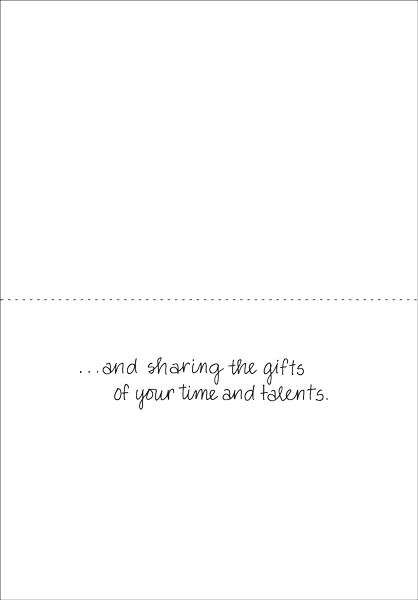 and sharing the gifts of your time and talents.